ACMIT started a new R&D cooperation with the „Angel Valve Project“ (AVP), a preseed cooperation of Prof. DDr. Werner Mohl and established experts in the field of medical technology, nitinol, catheter, textile research and production. In order to extend our partner network also in the South-East Asian area, ACMIT actively participated at the „Global Technology Forum“ which took place on 17. and 18.11.2016 in Seoul, South Korea. The ACMIT management is pleased to announce a change in the shareholder structure of ACMIT. Following an invitation of the Austrian Ministry for Transport, Innovation and Technology (bmvit), ACMIT had the opportunity to present a project conducted within the Austrian Security Research Programme KIRAS at the European Forum Alpbach 2016. On Friday, September 30th the “European Researchers’ Night 2016” will take place at the TGM – Vienna Institute of Technology. On July, 19th our client and company partner piur imaging GmbH declared conformity for their PIUR tUS (tomographic ultrasound) device. Based on the recommendation of an international scientific committee, the federal government as well as the federal states of Lower Austria and Tyrol will fund the research center ACMIT at the „Technopol Wiener Neustadt“ within the framework of a COMET-K1 center. On May 12th, 2016 the 17th Austrian „Sparkasse Firmenlauf” took place in Wiener Neustadt. The nordBLICK 7th SEA CONGRESS 2016 will take place from May 20th to May 22nd on board the cruise ship COLOR FANTASY. At this maritime symposium for ophthalmology ACMIT will be represented by Wolfgang Brezna, who will present and demonstrate an innovative IOL simulator at the booth of our company partner 1stQ. What happens during a knee surgery? Are the hands of the surgeon clean enough? How difficult is it for a surgeon to remove a foreign body? How can a surgeon look through his or her own hand? 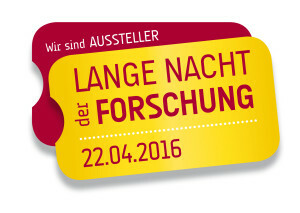 The „Lange Nacht der Forschung“ is Austria´s largest event regarding science communication. This event will take place nationwide on Friday, 22.04.2016, already for the 7th time. Last year, more than 136.000 visitors could be counted!